Dubai is all set to embrace a new city center mall in international media production zone area. The shopping mall is a new initiative of Majid Al Futtaim group with the Phase 1 valued at Dh275 million. The company released a detailed press release to reveal about the launch of a new shopping mall, city center mall. The mall will feature sixty international outlets, set within a spacious one million square feet of land, allowing for planned future expansions by 2020. “City Centre Mall or Me’aisem is another milestone in Majid Al Futtaim’s Dh3 billion investment programme, and fulfils a growing demand for an integrated shopping and lifestyle destination within the burgeoning iMPZ and surrounding areas,” said Dimitri Vazelakis, Executive Managing Director, Shopping Malls, Majid Al Futtaim Properties. 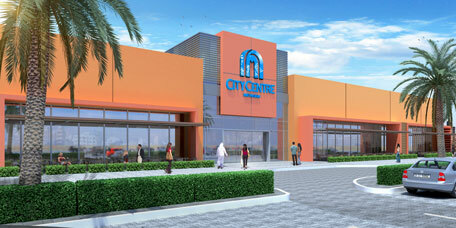 The project was first announced in March this year and phase 1 of City Centre Mall or Me’aisem will open by Q3 2015. The mall will be anchored by a 91,903-sq ft Carrefour Hypermarket and will also have a 6,243-sq ft Magic Planet family entertainment centre besides other retail, lifestyle, fashion, food and banking outlets and a walk-in medical clinic. The famous tourist destinations including Victory Heights, Jumeirah Golf Estates, Jumeirah Village Triangle, Jumeirah Village Circle, Motor City and Arabian Ranches will be benefitted by the establish of the new shopping mall. The professionals employed in the International Media Production Zone would be able to shop easily from the commercial zone. The mall is expected to have a massive 750 car par space beneath the main building. Brookfield Multiplex has won the mall’s construction contract.